I studiosammenheng snakker man ofte om minimonitorer og hovedmonitorer. Kii THREE er den første mini-hovedmonitor på markedet. Vi tilbyr lineær fullfrekvent respons, en perfekt impuls -og faserespons, samt 1500W fordelt på de 6 høyttalerenhetene. Kii THREE kan, på tross av størrelsen, flytte godt med luft, og ved hjelp av Bruno Putzeys Active Wave Focusing teknologi, kontrolleres spredningen for en homogen gjengivelse rett i lytteposisjon. Innovativ DSP teknologi styrer det kardioide spredningsmønsteret helt ned i bassområdet. Dette gir et trøkk og fundament normalt forbundet med store monitorløsninger. Kii THREE er den eneste monitoren på markedet som nyttiggjør seg av denne teknologien. Kii THREE kan derfor være den eneste monitorløsningen et lydstudio trenger for enhver oppgave.Rett og slett det første mini-hovedmonitorsystem tilgjengelig i markedet.Kan vi også si at vi syntes den ser riktig bra ut? Kii THREE pro-versjon kommer i grå slitesterkt coating. Dagens lydstudio er i konstant utvikling. Programvare har gjort musikkproduksjon enklere. Dette har gitt profesjonelle studioteknikkere mange muligheter, men også utfordringer. For opptak, produksjon, miksing og mastering er det fortsatt én ting som er like viktig i dag som det alltid har vært: et godt monitorsystem! Det å ha tilgang på en gjennomsiktig og avslørende studiomonitor, er et uvurderlig verktøy for det profesjonelle lydstudio. Kii THREE vil gi et fortrinn fremfor konkurrentene når man ønsker å heve terskelen for lydmessig ytelse. Enten du jobber i et større studio, uavhengig studio, eller rett og slett har store krav i et hjemmestudio, vil Kii THREE hjelpe til slik at du kan arbeide raskere og mer presist. Ved dagens slutt, vil dette gi positive resultater. Theron Feemster aka Neff-U - L.A.
Speakeasy Sound Studio - L.A.
Wittemann 5.1 Studio - N.Y.
Jacob Collier talks about why he uses Kii THREE speakers. Jacob Collier is a two-time GRAMMY award-winning singer, composer, arranger, producer and multi-instrumentalist, based in London, England. 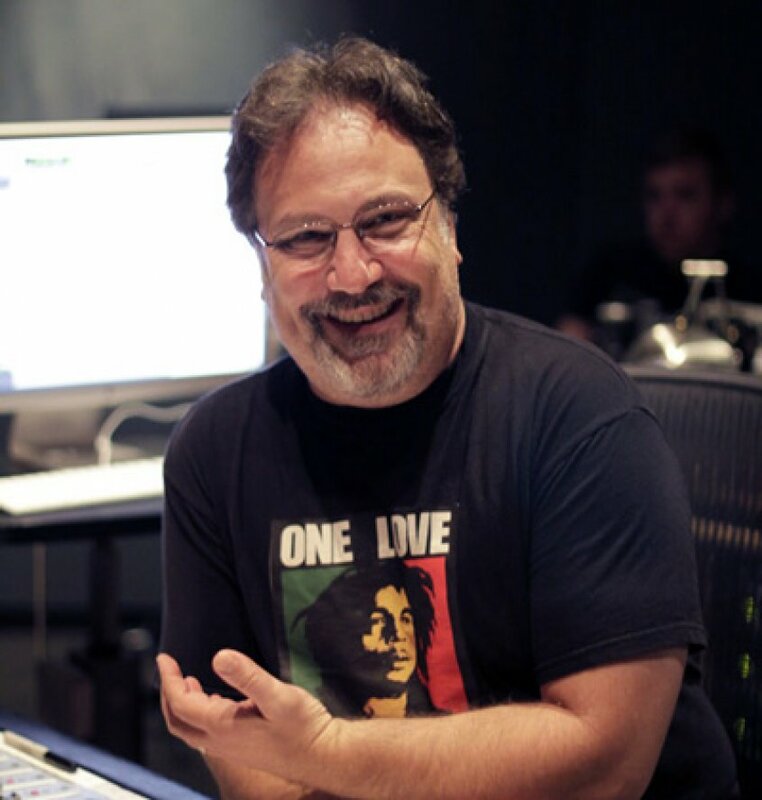 Dubbed by many as one of the most innovative creative musicians of his generation, Jacob first rose to popularity through the virality of his homemade multi-track YouTube videos. Find out more about why Kii THREE speakers are the hottest thing in audio. Nestled away discretely via the main Reception, Studio 2 is Strongroom’s best kept secret. Featuring a spacious, leisurely control room, a sizeable booth and a unique street-side view, this is Strongroom with a difference. 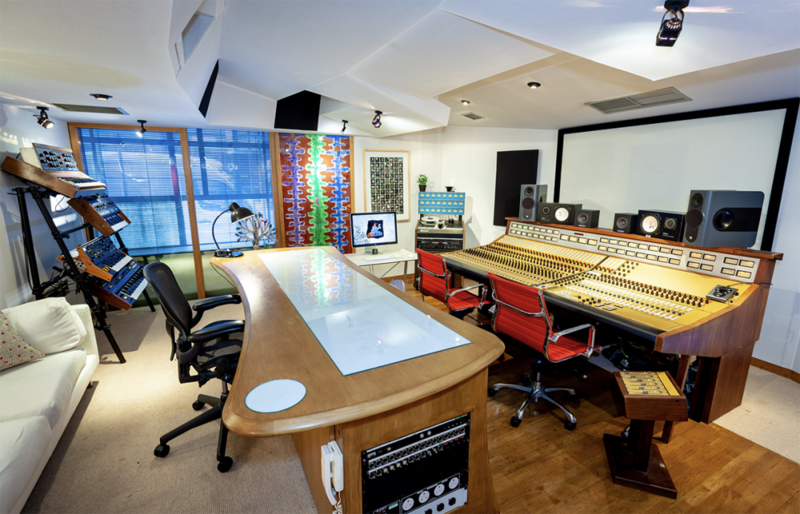 Once the go-to studio for hit remix production and surround mixing, Studio 2 was then closed to the public for years as Nigel Godrich’s private facility, until 2018 when the doors opened once more as a joint venture.Refurbished to feature a minimalist, collaborative approach marrying a selection of artwork from Nigel’s personal collection and original Jamie Reid panelling, Studio 2 brings a new aesthetic to Strongroom for those in search of a contemporary feel with greater environmental control. A large HD projector shines onto a screen behind the mix position and optional coloured lighting with low-noise dimmers allow for full lighting customisation.Centered around a one-of-a-kind Dalcon console, and with the Strongroom-staple Boxer main monitors, the studio also offers Kii Audio THREE, NS10 and Auratone nearfields along with a selection of classic vintage synthesizers (Moog, Juno, Transcendent 2000 etc). The booth houses a Wendel & Lung upright piano with a clear line of sight to the mix position and exterior windows.A 32 I/O Pro Tools HDX2 system with an exhaustive list of plugins runs tirelessly on a Mac Pro 6.1 dustbin or, for the analogue fans, a 3M 24-track tape machine and oodles of classic compressors. Outboard effects include AMS, Eventide, Roland and an EMT 140 plate reverb, plus the usual floating Strongroom arsenal available on request.Hugely versatile and implemented to the highest technical standard with one of the country’s most respected producers, Strongroom 2 is not to be missed. 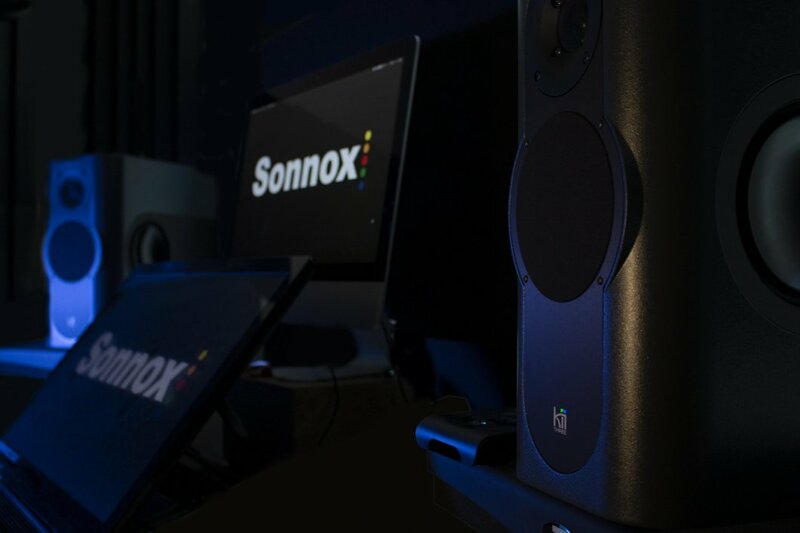 The company behind the acclaimed Kii THREE Mini Main monitor system is delighted to announce the Kii THREE Promonitor has been chosen by plugin company Sonnox for testing their products. Speaking about the decision Giles Farley for Sonnox said;“We at Sonnox have a long-standing reputation for taking an uncompromising approach tomaking plug-Ins. Critical listening is of vital importance in guiding us to make the bestchoices in making new stuff. The fact that some of our products can have subtle effectsfurther emphasises this requirement to hear all possible. Warts and all. Quote: "The Kiis are perfect, I won´t give them back". when a pile of vintage synths was discovered in a school cupboard. He then talks about his career and how Kii Three speakers are the only monitor choice for him. Thanks to Dale at SX Pro for making this happen. Jonas Westling is a Swedish born Grammy nominated mixing and recording engineer based in London. He has worked with artists as diverse as Lady Gaga, Paul McCartney and Newton Faulkner.The first thing I thought when I heard the key speakers was that how amazingly good the bottom end was, they sound like main monitors in a small cabinet. Secondly, of course, the clarity and flat frequency response, there are no holes in the frequencies they are entirely flat. I have always been thinking that top end speakers have always been a little bit too bright. I preferred darker sounding speakers, but the is the first speaker that is flat, the top end is amazing as well as well as the bottom.For me the Kii are just an extension of the music, I don't really hear the room in them, I don't hear the speaker to hear the music how it's intended to be. It's night and day difference. I don't get to do client revisions anymore really, I have maybe one revision and some small changes. But when it is right on the Kii Three then it is almost right everywhere all the time. Nowadays I don't even have a second set of speakers. I trust the Kii that much. I used to have three pairs to switch between but thinking back then maybe that just made me more confused. Having one set of speakers that you really trust has just been a game-changer for me. 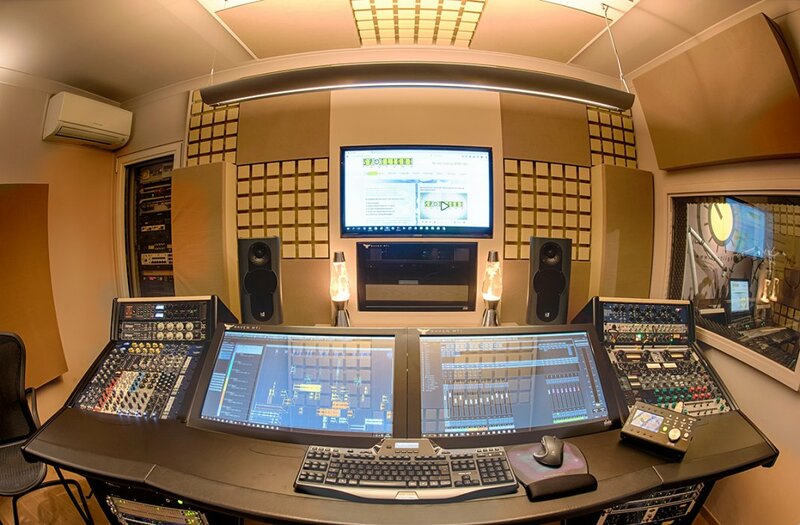 "The Kii THREE speakers are without question the best monitors I have ever used. The detailed and revealing frequency response is from earth to light. These little monsters have balls at an extremely low level. I don't mix at loud volumes so to get a full frequency response out of a small speaker has always been my holy grail. I found my home with the Kii THREE's in minutes - a breakthrough speaker design that really works and delivers the goods."